With remembrance Sunday approaching I felt a need to share just a little of the terrible effect the blitz had on the city of Liverpool. 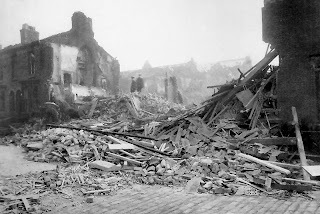 The Liverpool Blitz was the heavy and sustained bombing of Liverpool and its surrounding areas by the German Luftwaffe. 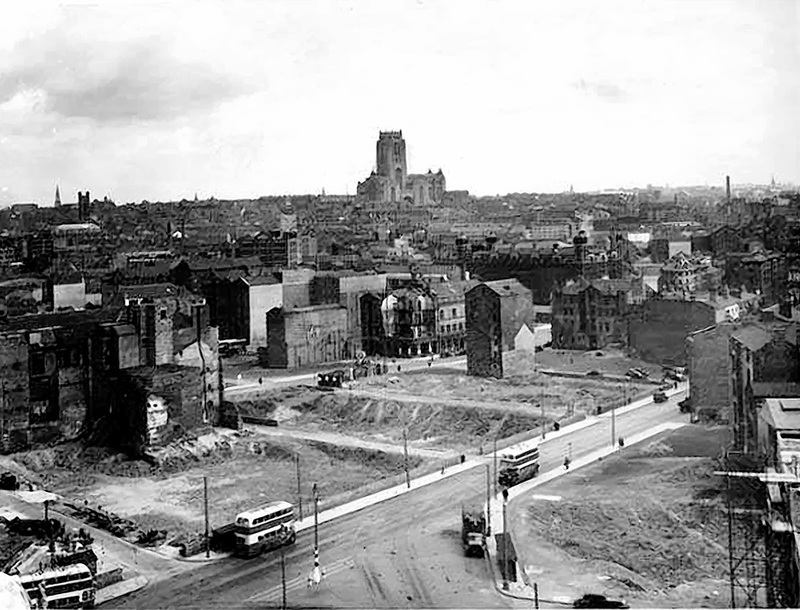 Liverpool, Birkenhead, Bootle and Wallasey were the most heavily bombed areas of the country outside of London, due to their importance to the British war effort. 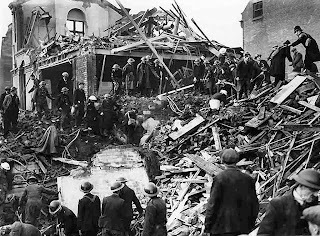 The government was desperate to hide from the Germans just how much damage had been inflicted upon the docks, so reports on the bombing were kept low-key. Around 4,000 people were killed in the Merseyside area during the Blitz. This death toll was second only to London, which suffered 30,000 deaths by the end of the war. 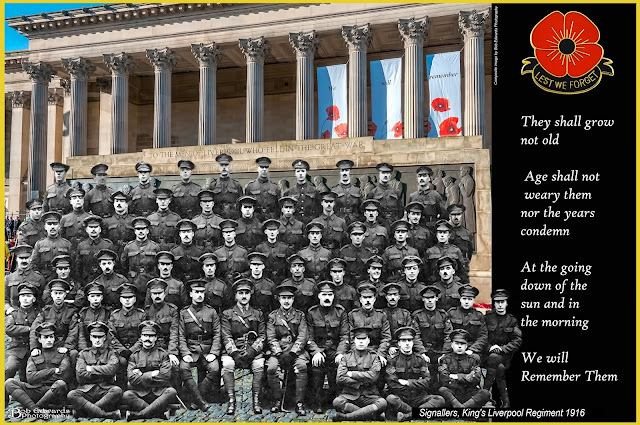 Liverpool, Bootle, and the Wirral ports were strategically very important locations during the Second World War. The port on the River Mersey had for many years been the United Kingdom's main link with North America, and this would prove to be a key part in the British participation in the Battle of the Atlantic. As well as providing anchorage for naval ships from many nations, the Mersey's ports and dockers handled over 90 per cent of all the war material brought into Britain from abroad with some 75 million tons passing through its 11 miles of quays. Liverpool was the eastern end of a Transatlantic chain of supplies from North America, without which Britain could not have pursued the war. By September 1940 the government had started to collect and collate information relating to damage sustained during bombing raids. This was known as the 'bomb census'. 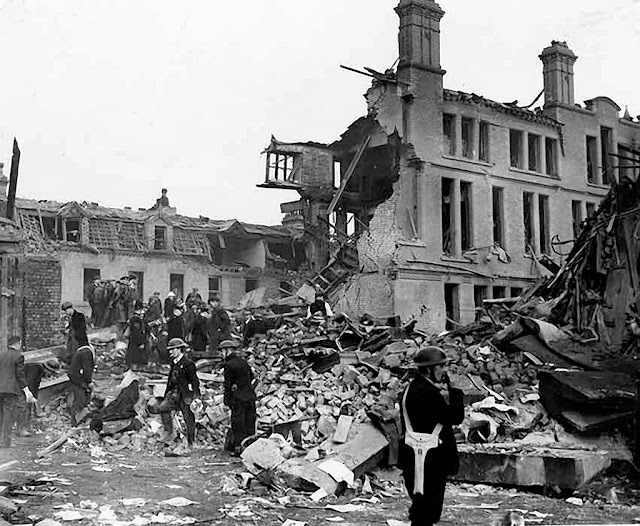 Initially, only information relating to London, Birmingham and Liverpool was collated but by September 1941 the bomb census had been extended to cover the rest of the UK. Liverpool civilians suffered some of the worst casualties in the UK, one such incident took place in the Edge Hill area of the city. 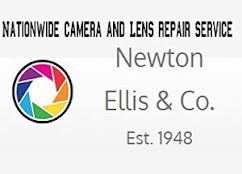 In the early hours of November 29, 1940 approximately 300 people were tightly packed into the shelter in the basement of the Ernest Brown Junior Instructional Centre in Durning Road, Edge Hill. It was the boiler room, chosen because it had a reinforced ceiling with metal girders running across it. A parachute mine hit the three-storey building, it collapsed into the shelter below, crushing many of its occupants. If that scenario were not bad enough the situation was exacerbated when boiling water from the central heating system poured into the basement, and at the same time gas pipes fractured. More than 160 men, women and children were killed, many were buried alive and The horror devastated the tight-knit community around Edge Lane. 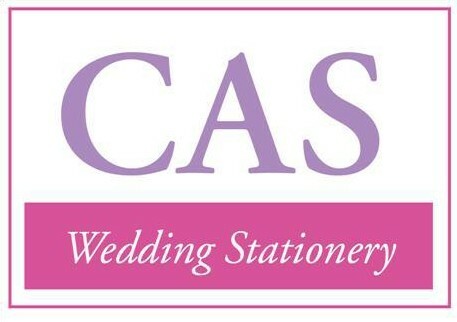 One local family, the Lucas's lost four children in the tragedy leaving their bereaved mother unable to speak for six months afterwards. It took two days to pull the bodies out from the shelter and in the end, for fear of disease, the remaining bodies that could not be recovered were covered with lime and the basement was sealed. 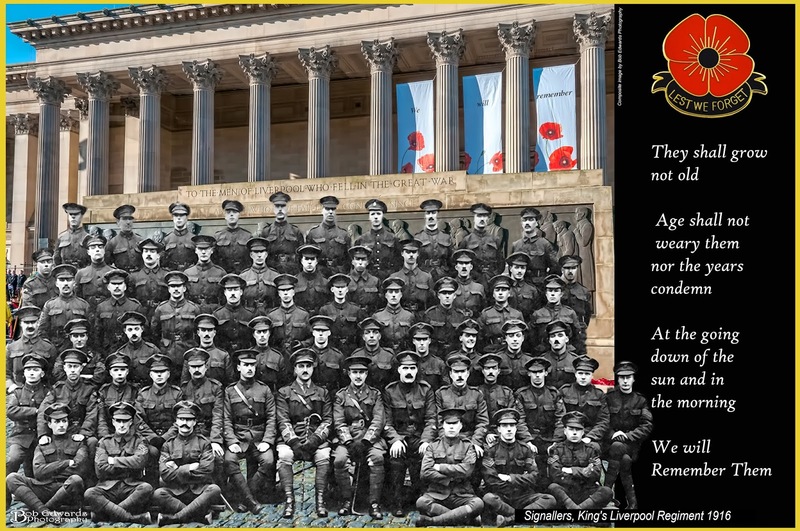 On remembrance Sunday when we remember the soldiers who fell on the battlefields we should also spare a thought for all those people, including the Home Guard, ARP Wardens, Police, Fire and auxiliary servicemen and women and the civilians who gave their lives in the city of Liverpool.